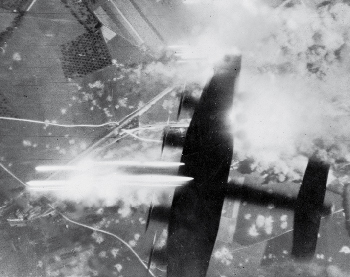 Flying Lancaster bombers on raids into Germany was one of the most dangerous missions of the war. 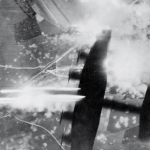 Casualties in Bomber Command were shockingly high; there was only a 17% chance of a bomber crew surviving a full tour of 30 operations. 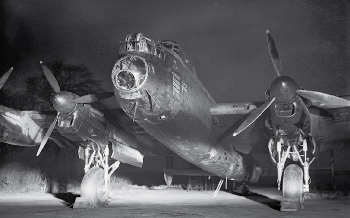 Night after night, Flight Sergeant Geoffrey King and the crew of C Charlie risked their lives over Germany. 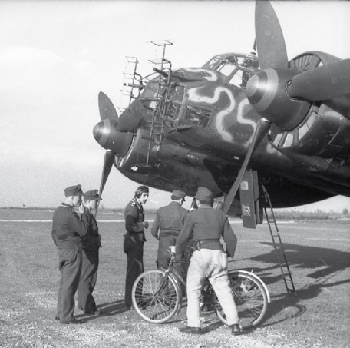 Together they faced incredible dangers, not only the heavy anti aircraft fire over their target, but near misses with other bombers in the huge formations, attacks from the fighter planes of the Luftwaffe, and several crash landings. 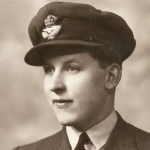 Geoff King was the bomb aimer, born in a farm cottage in Essex. The rest of the crew were from the far corners of the empire. His pilot was George Laing, a tough no nonsense Canadian from the prairies of Manitoba. The navigator, Roy Davis was from Manchester, Vince Day the wireless operator was a grammar school boy from Manchester and the rear gunner, Sidney Thomas was from Wales. 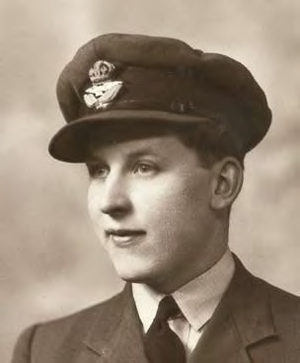 The mid upper gunner, Frank Green came from Australia. This unlikely group of young men were randomly thrown together as a crew at their Operational Training Unit, yet they formed a bond with each other that was only broken by death. 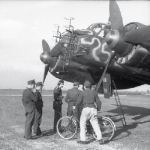 In the twelve months between May 1943 and May 1944 Geoffrey King, the skipper George Laing and the other five flew thirty missions over Germany, hitting Frankfurt, the Ruhr, and bombing Berlin ten times in the campaign to destroy the German capital. Their survival was improbable. Geoff believes that they did so because they were a very good crew, all of whom did their job to the best of their ability. They had developed a natural affinity and trust in each other. They believed that this was so vital to their survival that they all refused to take leave and join a training unit as a rest from front line flying. They volunteered immediately for another tour of duty. 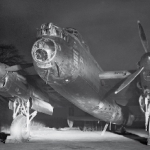 They flew another twenty-five missions as part of the pathfinder force and survived, despite the fact that after one mission their Lancaster, C Charlie broke up in a crash landing. Engine fires, anti aircraft damage, fighter attacks, they came through everything. Geoffrey King and the crew of C Charlie are unique in having flown together for fifty missions and living to tell the tale. 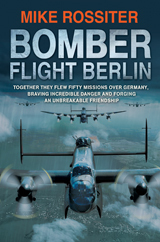 Bomber Flight Berlin is the story of a group of ordinary men, from different walks of life, thrown together by the forces of war, flying sometimes nightly to what seemed certain death.